Barker Valley in the Cleveland National Forest is a place where you can truly get away from it all. 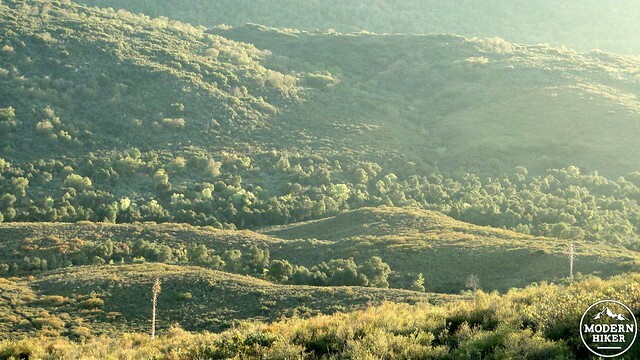 This narrow valley full of massive oaks and tranquil meadows sits in one of the more remote corners of the Palomar Mountains. 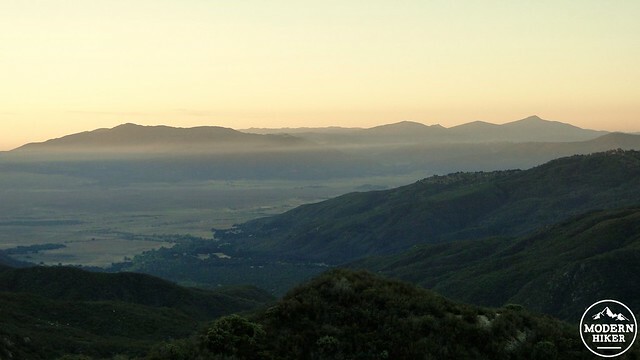 While the valley itself is too small to qualify for wilderness status, the area has a distinct “wilderness,” feel, making for great overnight camping and an escape from the pressures of urban life. 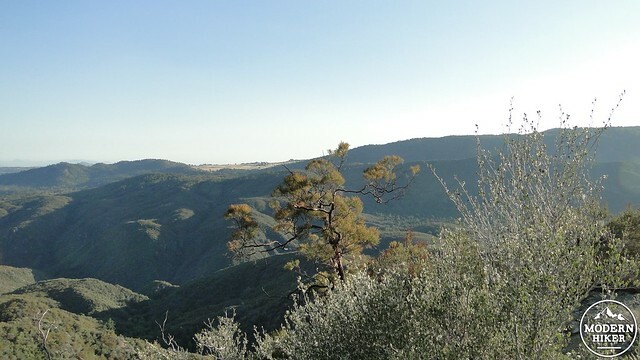 The west fork of the San Luis Rey River drains this valley along with the southeast corner of the Palomar Mountain range while usually maintaining its flow throughout the year. In the 1920’s, when Palomar received more precipitation and the river had a more reliable flow, a stone gauging station and dam, the latter of which is known as a weir, were constructed to determine whether the river’s flow would be suitable for producing electricity. There never was enough flow in the river to produce electricity, but the structure, similar to one found at Palomar Mountain State Park still remains. In addition to the weir structure, the lower, wilder reaches of Barker Valley feature a series of waterfalls and swimming holes. This area is accessible by a rough, unmaintained trail that travels along the river bank and occasionally clings to a precipitous cliff during the passage. This section should be reserved for experienced hikers and climbers only, and this write-up does not feature the route. However, for the experienced, the pools and falls here are a delightful destination on a warm day. Beyond the weir and the falls, the principal attraction at Barker Valley is the solitude and the beautiful oak-lined meadows. 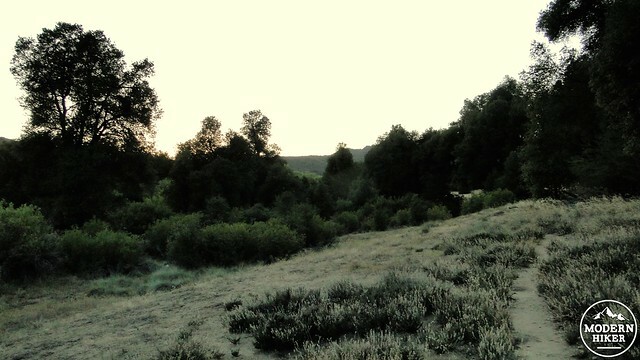 There are a number of good camping spots up and down the valley, and this track stops at a particularly nice area. 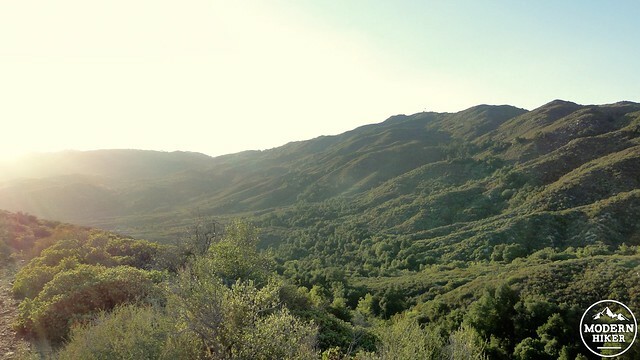 To backpack at Barker Valley, you will need to obtain a permit from Cleveland National Forest. Backpacking is at its best during late spring when the river has a healthy flow of water and the weather is not too cold. It should also be noted that Barker Valley is famous for cold air drainage. Heavier cold air from the higher elevations at High Point and the Observatory descend into the valley, leaving the area much colder than you might expect at night. Dress accordingly. Reaching the trailhead is an adventure in itself. After leaving Highway 79 just west of Warner Springs, you will have to drive up the occasionally paved Palomar Divide Road. The road is easy enough for all cars while it is paved, but it becomes rough and rocky just after the pavement ends. There is limited parking at the trailhead. After reaching the trailhead, pass the kiosk and enter the Barker Valley Spur Trail, which follows an old, eroded roadbed. The roadbed will descend gradually and gently over the next 3.3 miles. While the grade and distance are not very challenging, it can be a tough climb out, especially if you return during the middle of the day. If you’re here during the cooler months, this shouldn’t be a problem, but the trail is open and exposed and can therefore be very hot and tiring during the warmer months. 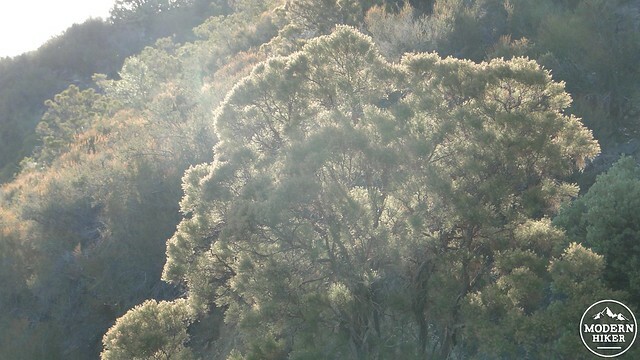 The trail continues winding through richly scented mountain chaparral, which includes sweet-smelling, feathery ribbonwood. This often tree-sized shrub gains its name from the reddish bark that peels off in thin, ribbon-like strips. The trail continues its lazy descent until it comes to a marked junction, where a newer trail branches off to the right, while the older, overgrown trail sticks to the left. Turn right, and keep descending. From here, the trail gets narrower and twistier, occasionally passing through small groves of oaks. 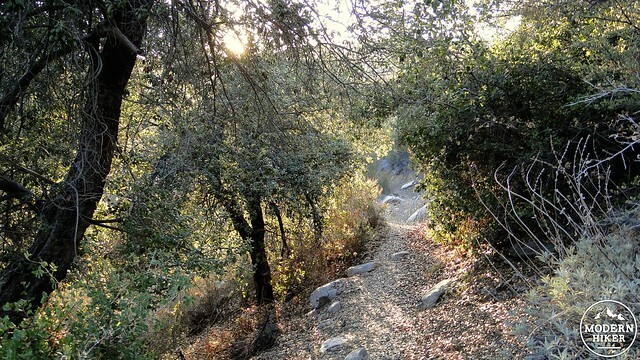 As it drops to the valley floor, the trail will cross a seasonal stream shaded by oaks and willows. You will notice a faint use trail branching off to the left at this crossing. This is the unmaintained trail to the falls and the weir. Continue right past the stream to enter Barker Valley proper. You will immediately emerge at a series of long, narrow meadows that run the length of the valley before the northern slope rises up to the Observatory. High Point tower will be visible 2,000’ above the valley floor. Closer afoot, you will pass through meadows dense with deer grass, while ancient, gnarled oaks tower above you. A fainter use trail will lead to some campsites on the left, while the established trail runs to the right to travel the length of the valley for further exploration. If you’re day hiking, you have the option of dipping your feet into the river to cool off and bath in the sweet sounds of running water and breezes in the cottonwoods above. If you’re backpacking, select any flat site, but make sure you remain 100 feet from the banks of the river to minimize your impact. From whichever point you deem the turnaround spot, reverse your course to follow the twisting trail back up the slope to the trailhead. 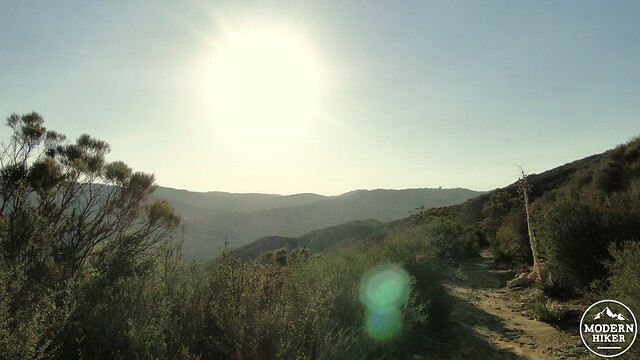 If it’s possible, avoid this segment during the hotter parts of the day, as the sun can be relentless, while the day-time temperature in the valley is often about 5 degrees warmer than the trailhead, which is 1,000’ above. 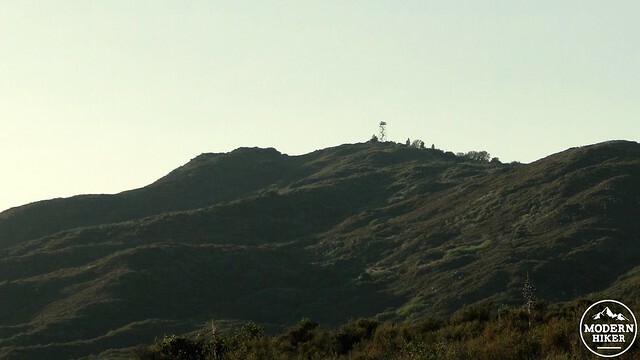 After making your way back up the slope, you can return to your car, at which point you have the option of continuing to drive up to High Point or turning back to Warner Springs and beyond. Follow this link to obtain the digital copy of Cleveland N.F.’s wilderness permit application, which you can print out, complete, and fax to the ranger station to obtain a wilderness permit. The trail isn't regularly maintained, but it's still pretty free of obstacles and overgrowth. The trail to the weir is not maintained and is very overgrown. 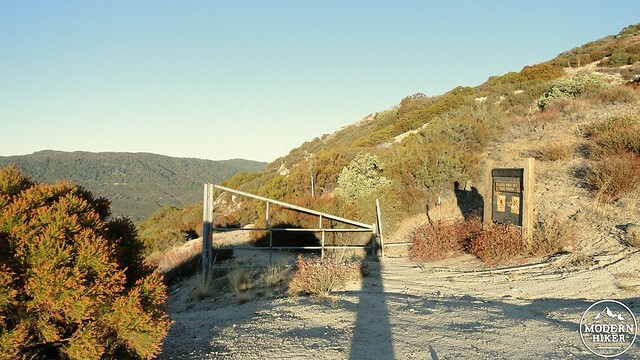 Barker Valley is best as a backpacking destination. If you wish to backpack here, you will need to obtain a wilderness permit from Cleveland National Forest. After printing out and filling in the application, which we've linked to at the end of the write-up, fax your permit application to the Palomar Ranger District at (760) 788-6130. Wonderful trail to backpack, definitely get the permit, we just went over Memorial Day Weekend 2018, lots of water and very few bugs this time of year. I was wondering if you have any information and advice for backpacking this trail? Any permits needed? Potentially. 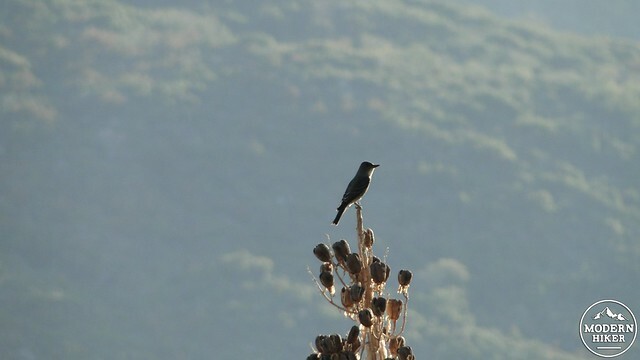 There's a lot of wildlife in the Palomar Mountains, period. However, when you combine a water source, open fields, oak woodlands, and solitudes, the odds of seeing animals will increase. Hey there, is there a lot of wildlife(deer) at the end of the trail in the open meadows? I think you're going to have to play it by ear. We've had both temperate weather and major heat waves during this time frame recently, so there's no way to be sure the weather will be favorable this far out. I do suggest that if the forecast for the area is above 85 that you don't attempt the hike. You have to climb 1,000' out of the valley, which is a pretty tough task when hot. Hi Scott. I'm wondering if this hike is usually too hot for the third week of June. You might be able to make it in a sedan. The road is partially paved, and the dirt part is in pretty good shape. However, it's going to be pretty nerve wracking. You're really better off with a higher clearance, but it's up to you if you want to chance it. What kind of a vehicle is recommended to drive to the trailhead? I've read that people have said a high clearance vehicle and/or 4x4 is needed, would a small sedan, like a Honda Civic work? TIA!